Pinterest may not be as high profile as some other social media marketing sites, but there is a huge potential for small businesses to benefit from this unique platform. Pinterest is essentially a digital corkboard. Users can ‘pin’ anything interesting that they find online and you can have multiple boards going at once. The central difference between Pinterest and most other social media sites is that it is primarily image based. However, it is also possible to post pieces of text such as news articles, blog entries and recipes. Using Pinterest you can do some extremely effective visual marketing. Before you start using Pinterest you should have a clear idea about the kinds of things that your target audience might be interested in. Remember that your primary objective is to catch people’s attention. Pinterest users need to make the choice to follow you, and the only benefit to them is access to your content. Pinterest has its own analytics tools and you can also use third party tools to check on your progress. 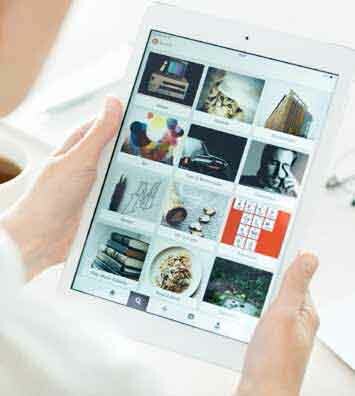 Using analytics you can easily see what content resonates with Pinterest users. Once you have seen which of your images and boards are popular, you can adjust your future content accordingly. Like all online content, your Pinterest account will be easier for people to find if it contains keywords that are relevant to your business. If your business is primarily local then your suburb or district should always be one of your key words. These keywords should appear in your ‘about’ section and tags on boards and images. Using the right keywords will make your Pinterest account more visible online. Above all else, people need to be interested in what you are posting on your Pinterest account. One effective way to make your Pinterest more engaging is to have boards dedicated to things that are often difficult to find. You should also update your boards as regularly as possible in order to retain followers’ attention.